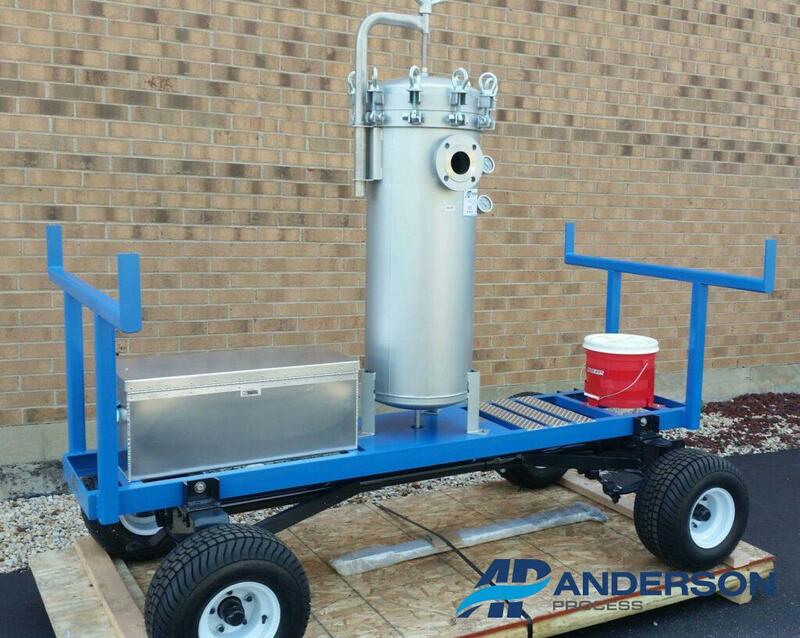 The Anderson Process Illinois Branch designed and produced a heavy-duty, 4-wheel portable filtration assembly unit for a customer that produces batch chemicals out at a somewhat rugged terrain refinery location. The assembly includes a 6-round Shelco filter housing with pressure gauges and is designed for complete “bottom out” drainage. They will be moving it around to existing pumping stations, so they wanted us to come-up with something durable, yet easy-to-access and portable. 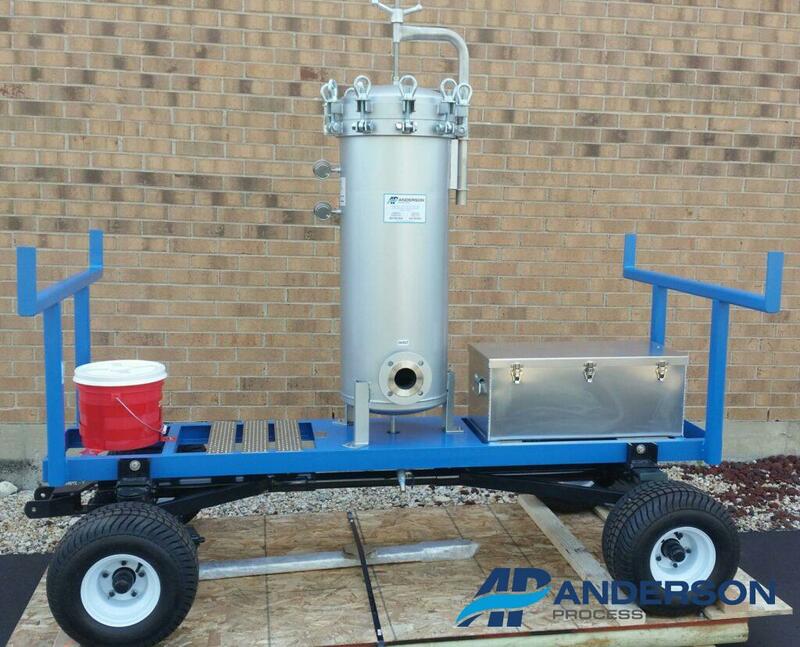 Additional accouterments include a 3-gallon bucket and storage bin to assist in bottom out draining of filter housing, an industrial-type storage compartment for tooling, grated platform step up area for ease of having to change-out the filter bags, locking-type wheels and chokes.